If you could have any super power, what would it be? Would you want to gain the ability to fly at super sonic speeds? That would certainly save you some pennies on your travel expenses. Would you want to have super strength? That would help when you're trying to rearrange your living room furniture. Super hearing might be nice. You could finally eavesdrop on those behind-closed-doors meetings at your job. And what about heat vision? You could totally use that to cook dinner in a flash. Well, why choose? 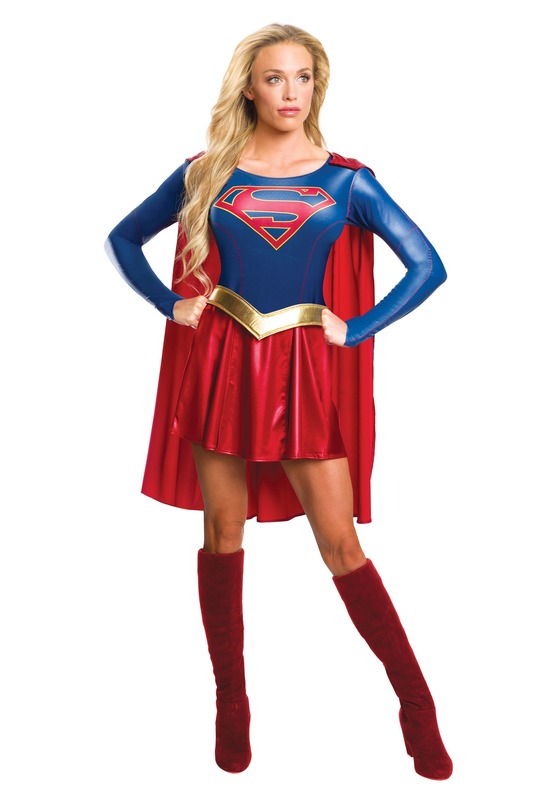 This licensed Supergirl costume comes from the TV series. It features everything you could want in a superhero outfit, like the bright, shiny blue top and shimmering red skirt. The top has a big “S” shield on the front, and the gold foam belt fits around the waist for a look that should stop criminals in their tracks. The red cape adds that final dash of super hero flair to the look. 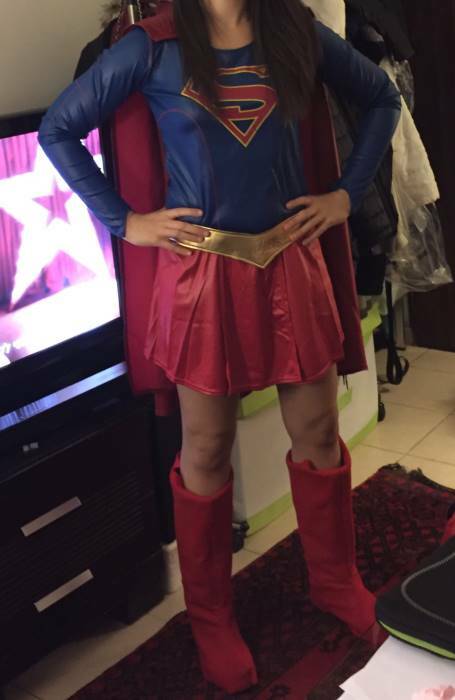 Now, we have to remind you again that this costume doesn't grant you super powers, so don't go picking a fight with Brainiac or Red Tornado, but it does make you feel pretty super. That's really all you need to head to the next costume party with the confidence to save the day. comfortable looks good great quality! note: doesn’t come with shoe cover so that’s a bit sad. but i just did of my own! Bought a size small for my 12 year old daughter (she's slim, 5ft., 100 lbs.) and it fits her well. She absolutely loves it - wore it all day and even slept in it. Thankfully the fabric is very durable.